Greg Hill Skiing at Rogers Pass. Greg reaches his goal of 2 Million vertical feet climbed and skied in one year. 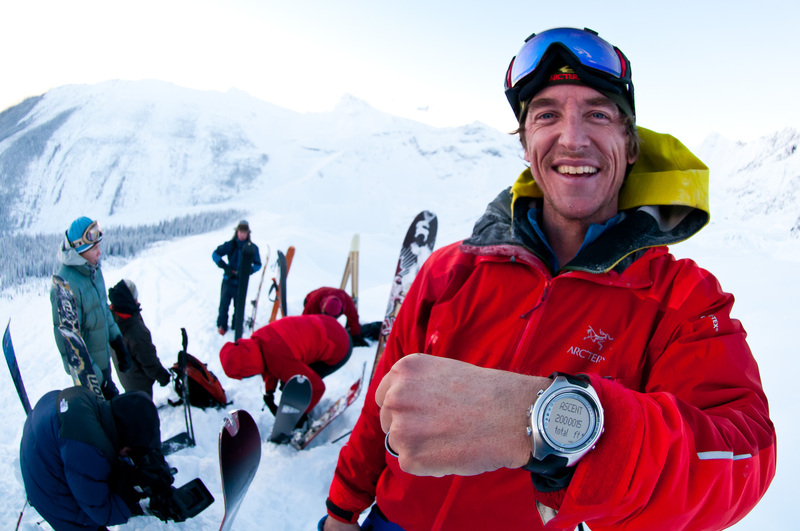 This shot of his Suunto watch with the accumulated feet climbed.